I had the great fortune of receiving a wonderful package of Roba Dolce Gelatos and Sorbettos. 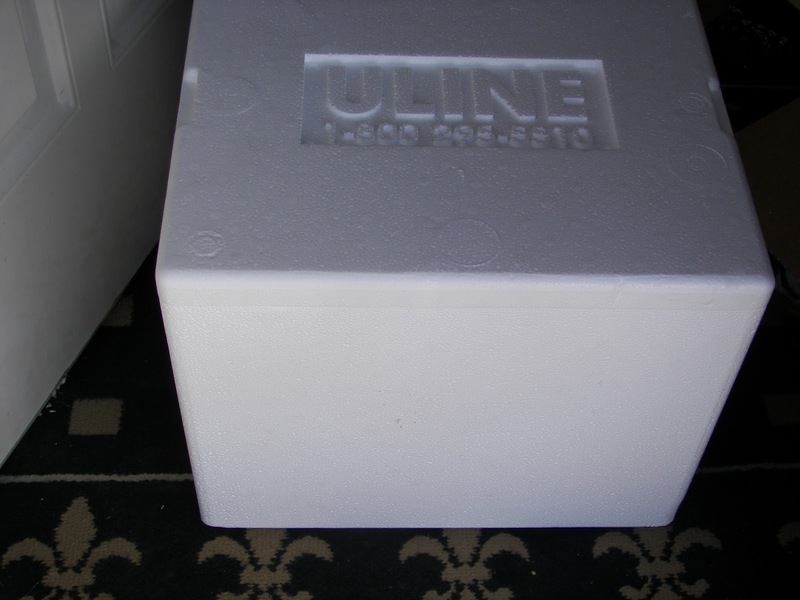 When the package arrived I was sick in bed. 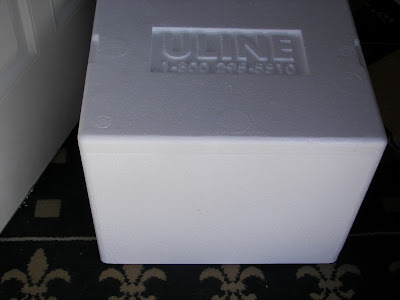 My daughter, Tati, who was also sick, had stayed home from school that day and found the package on our front porch. Because I was in bed, I didn't open it right away -- but not to worry -- the gelatos and ice creams were safely in a bed of dried ice. I received 5 (30-ounce) containers and 3 single-serve (6-ounce) containers -- what a generous sample pack! Coconut -- We went crazy over the Pistachio and Coconut Gelatos The coconut was creamy and smooth and tasted like an exquisite coconut macaroon in frozen gelato-form. At the outset, it was the one flavor that I thought I would have liked the least -- BUT it was one I liked, and my husband liked, the best. Well, it is hard to say that I liked it the best, because I also adored the Pistachio Gelato. It would be the perfect ending to any Asian or Indian meal -- or really ANY meal. Pistachio -- I have always had a penchant for pistachio ice cream and this gelato didn't disappoint. The gelato was stuffed with pistachios enrobed in a rich pistachio gelato base. I have never had a better pistachio gelato or ice cream! My pictures just don't show the generous amount of pistachios in this gelato; if you are a pistachio lover like me, you won't be disappointed. Should I say that I almost sang an Italian aria after eating the pistachio? 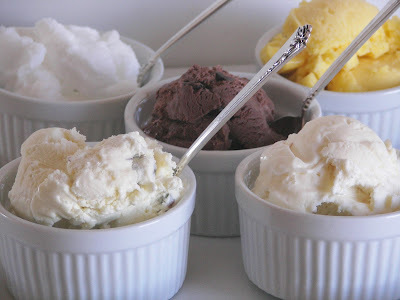 Dark Chocolate Chunk -- If you are a dark chocolate fan, you are in for a real treat with the Chocolate Chunk Gelato. It has a creamy, rich, intense dark chocolate base with large chunks of chocolate. This is not a gelato for the faint of heart; it's for those that adore dense, dark chocolate. My kids were huge fans of all of the sorbettos. The sorbettos were perfect for those of us who were under the weather. These are waist-friendly sorbettos. The generous single servings had only around 120 calories and no fat! Mango --My 14-year old daughter Tati loved the mango sorbetto; it was like eating a fresh mango in frozen form. It has a rich, intense flavor; you will feel like you have been transported to some place tropical while eating the mango sorbetto. Lemon --The lemon sorbetto is a smooth, but tart and intensely flavored sorbetto. My 16 year-old son kept on getting into the freezer to take bites of this sorbetto; it was calling his name and he couldn't help it! It is so pretty and white and pure tasting. Blood Orange -- We all loved the Blood Orange Sorbetto; we received a single serving of this, shared among five, to my chagrin, I wasn't able to sample very much of it. In contrast to the mango and lemon sorbettos, it is very gently flavored. Click HERE for a $1.00 off coupon for Roba Dolce Gelatos and Sorbettos. 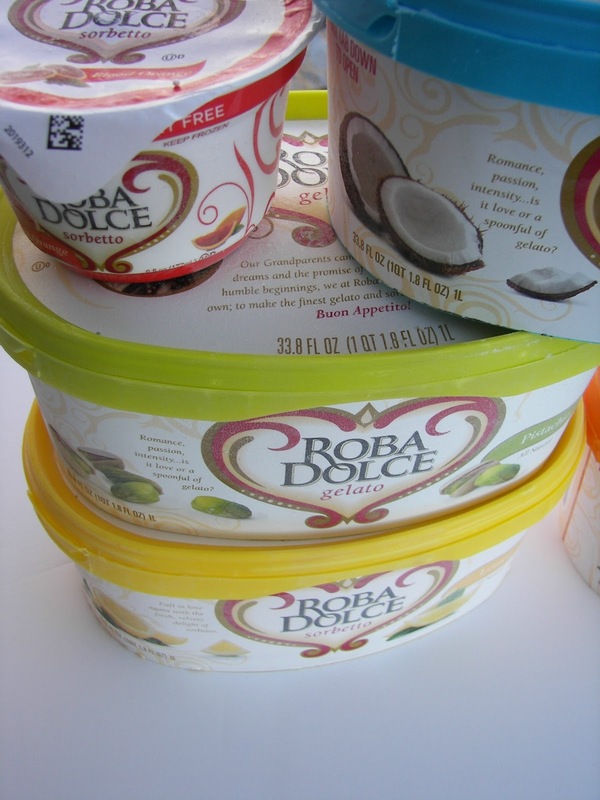 Click HERE for retail locations because everyone needs a little Roba Dolce. Although I was not compensated financially for this review, my taste buds were more than adequately compensated from this generous free sample pack of gelatos and sorbettos. 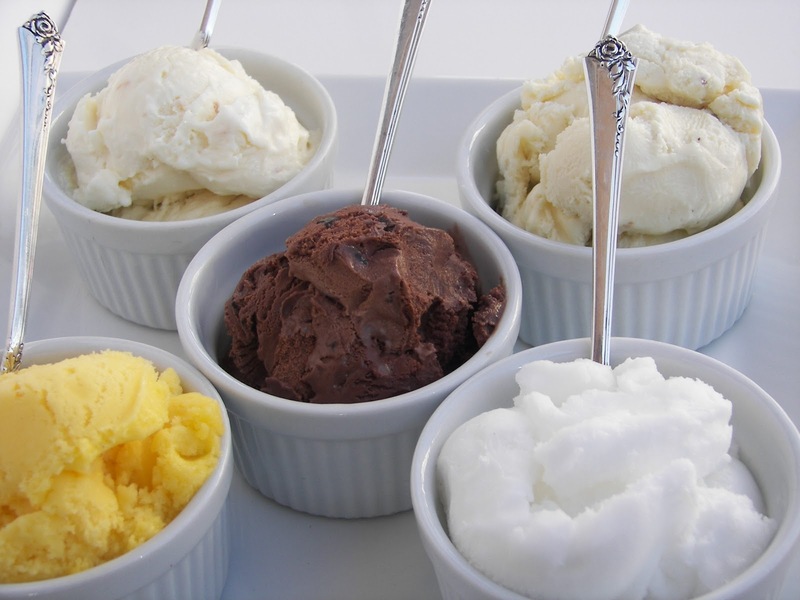 Thank you to Roba Dolce and Karen, hostess of the blog "This Old House 2," who sponsored the contest for the new gelato flavors. The new flavors, submitted by Karen's readers, and chosen by Roba Dolce are: Strawberry Cheesecake Gelato, Key Lime Pie Gelato, and a Coffee Toffee Mocha Crunch Gelato. My submission was a Hazelnut Chocolate Gelato. Hagen-Daz used to make this flavor and it was soooo amazing. 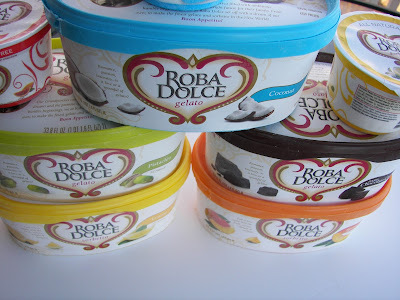 I think Roba Dolce has a Hazelnut Chocolate in the works. Joni, sorry to hear you've been sick. Hope the gelato helped sooth the pain. ;-) It all looks delicious. The blood orange sounds interesting. I've been drinking an Italian soda that is blood orange. Yummy! 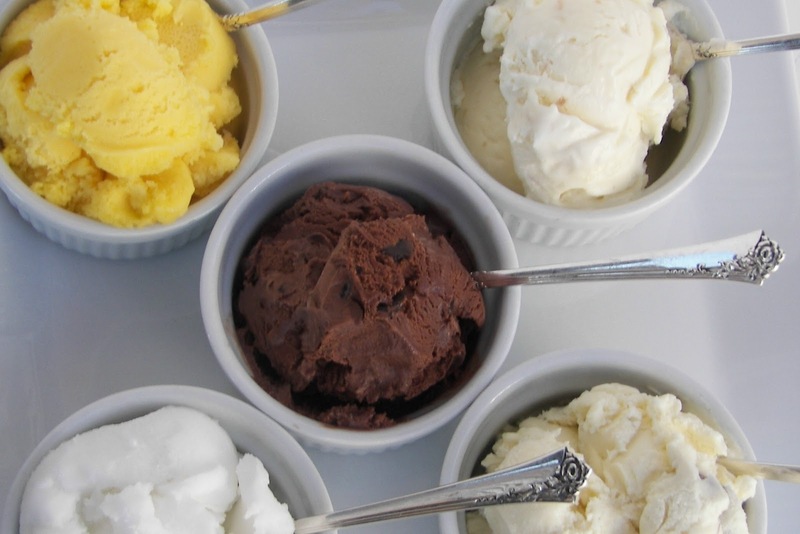 I am drooling looking at that gelato! My neighbor used to work for their competitor and give us free samples, so good! I never got to the egg rolls. The sun was out and above freezing so I went for a walk! Another day! What a fun and tasty surprise to find on the porch! I hope you and Tati are all well SOON! What a great blog on these delicious treats! Your descriptions on right on, and the coconut combined with the dark chocolate was may favorite...just like an Almond Joy. Yum. What a nice treat. I will look for it in the stores. I love a gelato or sorbet as a simple dessert after a lovely meal. Wasn't this a fun review to do? We loved ours...every flavor. I have a found a new product that I hope I can find in an area store. Love it! What a wonderful review to get to do! They all look so good. Really like your blog! I'm so sorry you were sick recently but what a great way to recover! The flavors look delicious. Perfect prescription for a sick girl. How did they know?!! I have looked around for these. Can't find them but I guess i could order them. They sound so delish! We went and saw the Clements at Macey's Little Theater last night. They were so fun and entertaining and the recipes were all delish. You should plan to come up for one. Joni, Those look great! Thanks for your product review. I'm not sure if they sell these in my area or not but I'm certainly going to keep my eye out for them. Glad you are feeling better. You lucky girl. I love gelato. Coffee Toffee Mocha Crunch sounds like something I would love as does the Chocolate Hazelnut. I've read several reviews of this gelato and everyone seems to like the coconut.